If you are planning to launch a website, using a blogging platform or a Content Management System (CMS) is highly recommended. This article series looks at popular blog platforms or blog software you could consider using for your new website. Whether you are looking forward to a personal blog or a business blog for your corporate online presence, this series would help you understand what factors to look for and decide on the right blogging software that suits your needs. What is a Blogging Platform or a CMS? A blogging platform or a blog software is a software intended to help you the create and maintain of your blogs online. CMS stands for Content Management System. A content management system is a software you can use to manage your website or blog content. It helps you maintain blog posts, news articles, photos, music, video, documents, or just about anything digital. The CMS simplifies your content management tasks so that you can concentrate on creating and delivering content. Most of the blogging platforms available today are a content management systems in themselves in full or in part. You can choose the right blogging platform depending upon what your needs are. If you or your business already have a website, having a blog is highly recommended. Blog adds energy to your online presence making it much more dynamic. Blog makes it seamlessly easy for you to publish news, updates, share photos, videos and other media. It helps you connect with your customers through the social media network. Do you wish to have a personal blog or blogging for business? Almost every blogging platform that is available will allow you to create a personal blog and post articles and media content. Many of the blog platforms are available free of cost and are also open source. Many of them also allow to some degree incorporate e-commerce into your blog. If it is a personal blog, you don’t have think too much. You can pick one easily. If you need a corporate blog for your business, you might want to have the blog hosted on your company’s domain or a subdomain on your corporate website. Most blogging software can easily be installed on existing websites. What content do you wish to put online? This would generally include news updates, photos, music, videos, or e-commerce items. Most blog platforms will allow your to publish and manage blog updates, photos or media galleries either as a in-built feature or as a plugin functionality. If you are looking forward to selling e-commerce items through your website, the CMS should also provide easy integration of shopping cart functionality and inventory management system. If you are interested in generating revenue by serving ads on your website or blog, most blogging platforms will allow you to do this through addons, plugins or custom development. Another important question to ask is how much technical expertise do you have. Some blog platforms provide you with readymade blog designs that you can customize and design the look and feel of your blog with a few clicks. Once setup, you simply type in your articles and publish. This is the way to go if you are not inclined to breaking your head at tweaking lines of code and designing the website. On the other part, if you are interested in a design custom-made for you, you can consider a blogging platform that allows you to do so. In the later case, if you aren’t that tech-savvy, you might want to shell out some extra cash to hire good software developers to do it for you. How much Time and Money Are You Willing to Spend on Your Blogging Platform? If you are the sole person who is going to maintain the blog, then this is important point to consider apart from your technical expertise. You need to have interest in spending enough time and money to design and develop a good looking blog using the blogging platform. If you are not inclined to this, simply go with the readymade blog packages. In this way, you can create an account and start blogging immediately. All you got to do is blog your articles and leave the rest to blog service provider. If you are looking to take the blog a step further, you certainly need to invest enough time and money into building your blog, especially when you are looking forward to earning revenue out of your online presence. If you want to host your blog on your own domain, you will need to purchase a web hosting plan and a domain name by paying some fee monthly or annually. 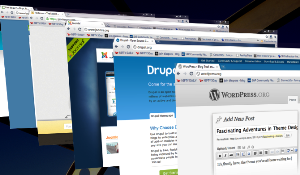 Many hosting providers allow easy installations of popular blog platforms or CMS. What Blogging Platforms Can I Choose From and How Do They Stack Up? Which blogging platform to choose and which one would suit you the best will depend on your answers to the above questions. There are a numerous options available to choose from. In the next article on Blogging Platform Comparison, we will discuss and the most popular ones that you could potentially consider. I found your post very informative and I learnt a lot about blogging. It was great and easy to understand. Keep it up! receive an email sent to me when you make a fresh article?